Magnificent Panoramic Views! 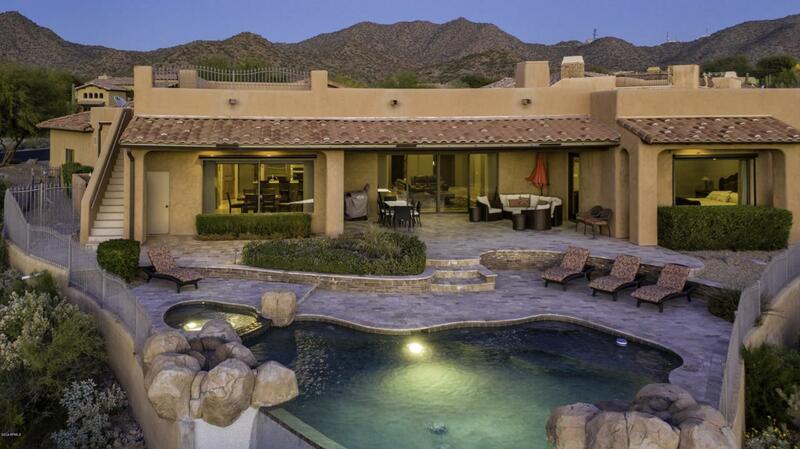 Beautiful custom home in exclusive Hidden Canyon at Las Sendas, Mesa's premier gated golf community. 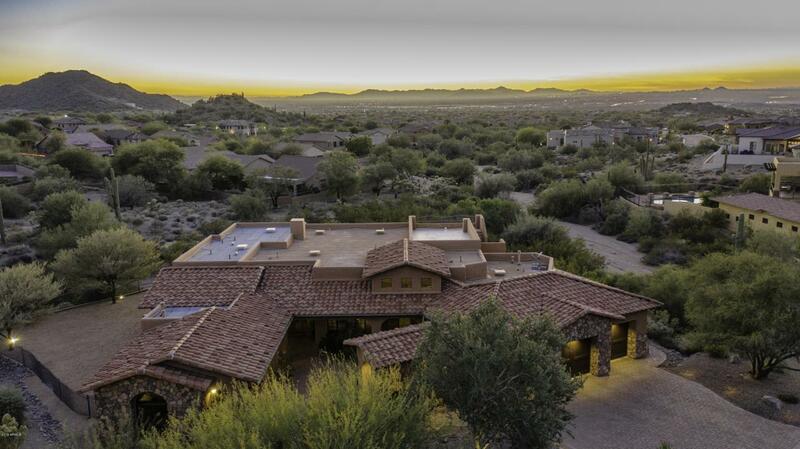 Huge lot (almost 1.5 acres) with unobstructed West-facing views, perfect for enjoying Arizona sunsets and city lights. 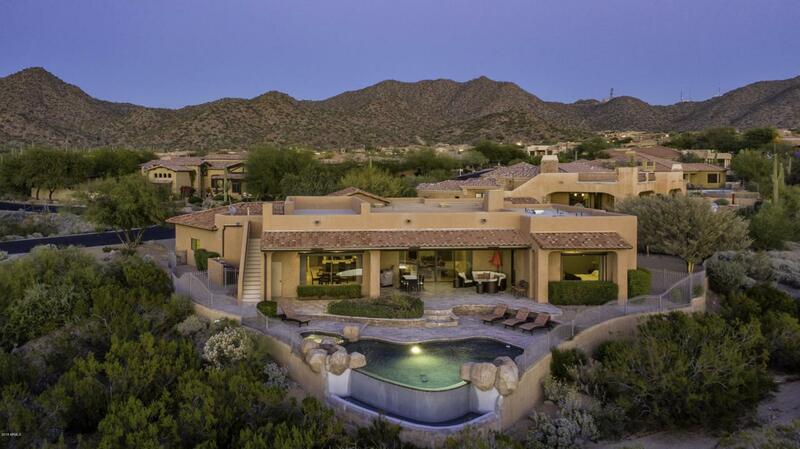 Gourmet kitchen, fireplace, open floorpan with greatroom looking out to amazing views. All rooms are spacious, including an office and separate guest casita. Many outdoor living areas to enjoy: a private gated front courtyard, rooftop patio and beautiful negative edge automated pebble tec pool/ spa. 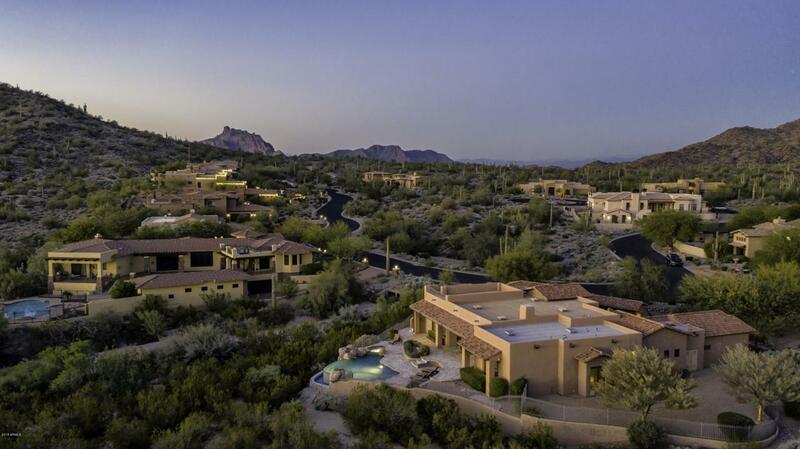 Excelling Elementary school, Award-winning golf course, miles of hiking/biking trails, playgrounds, parks, 2 resort-style pools, tennis, pickle ball, 20 min drive to Sky Harbor and much more await you; it's Arizona luxury living at its best!